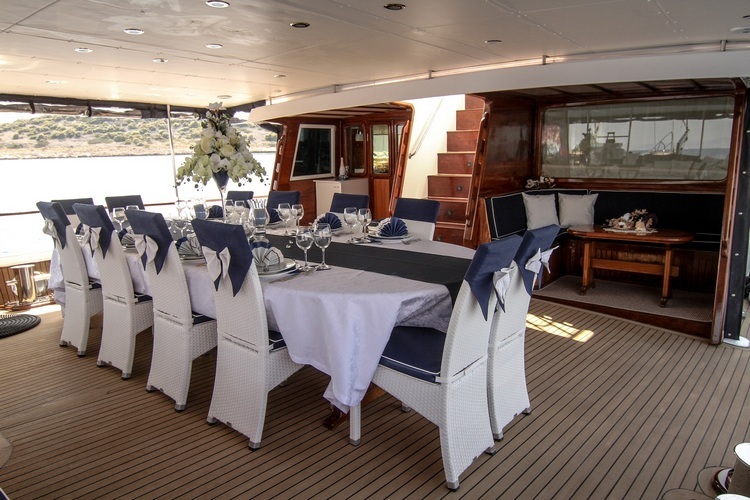 Gulet AURUM is one of the most luxuriously presented gulets available for cruising in Croatia, and has exceptional liveaboard space. 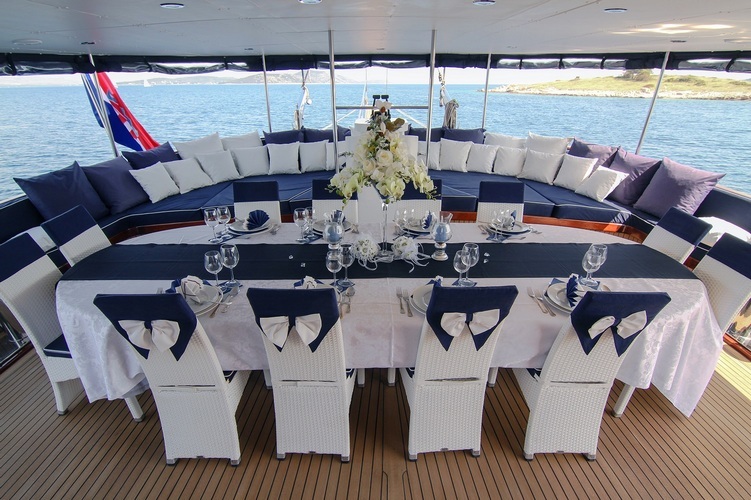 The Captain and Crew genuinely do their best to ensure you have a most authentic memorable cruising experience in Croatia. 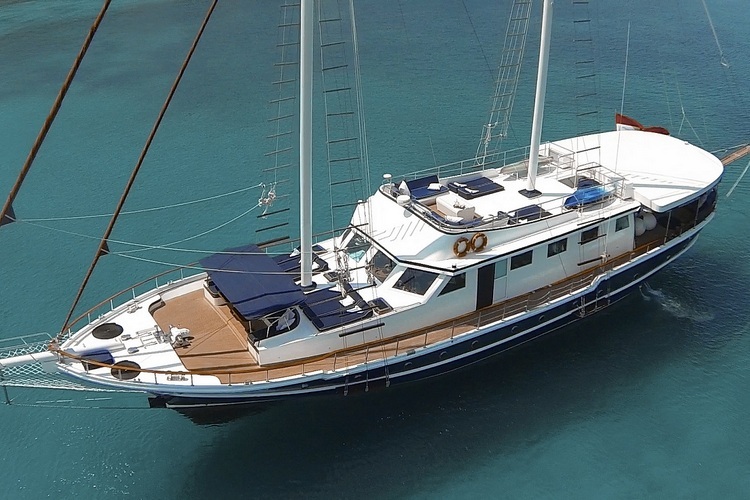 Gulet Aurum has accommodation in 6 double cabins (all ensuite) for 12 guests. 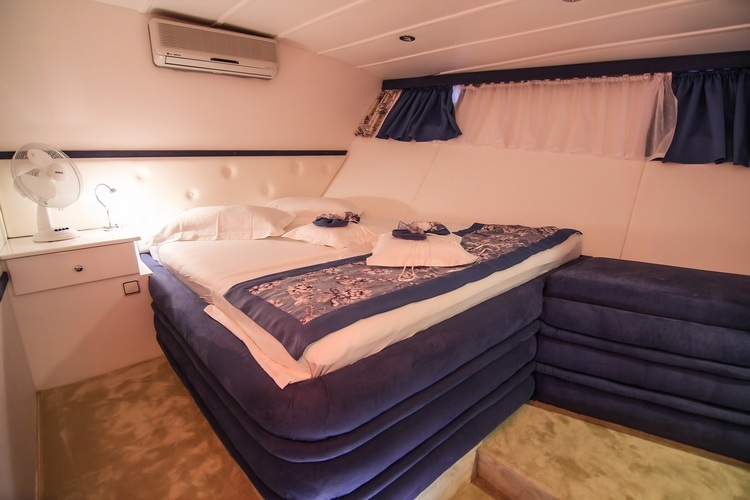 Aurum has very comfortable “hotel” type walk-around beds,the best amongst gullets. 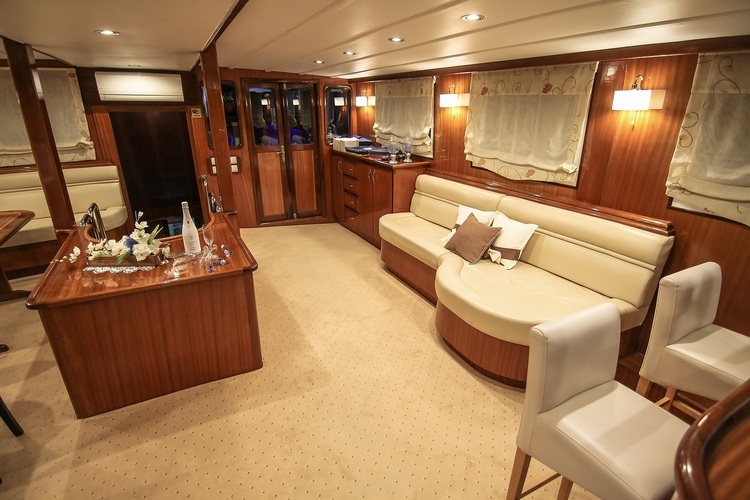 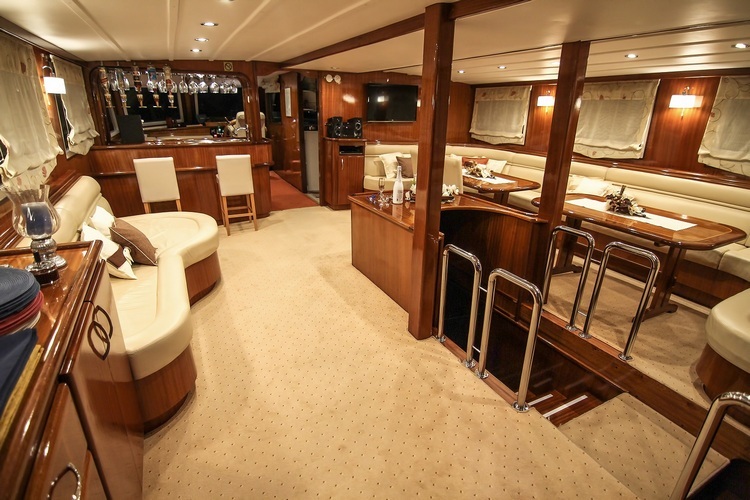 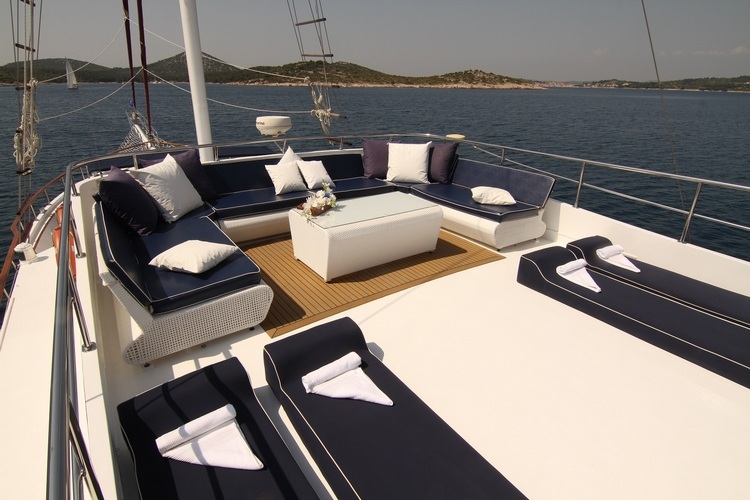 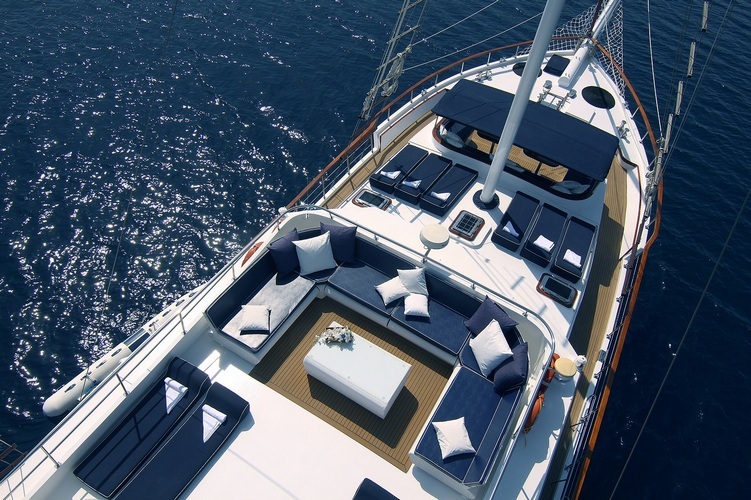 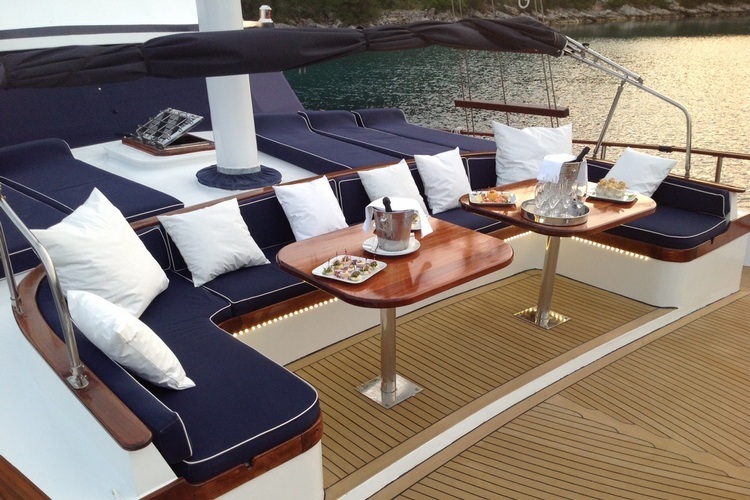 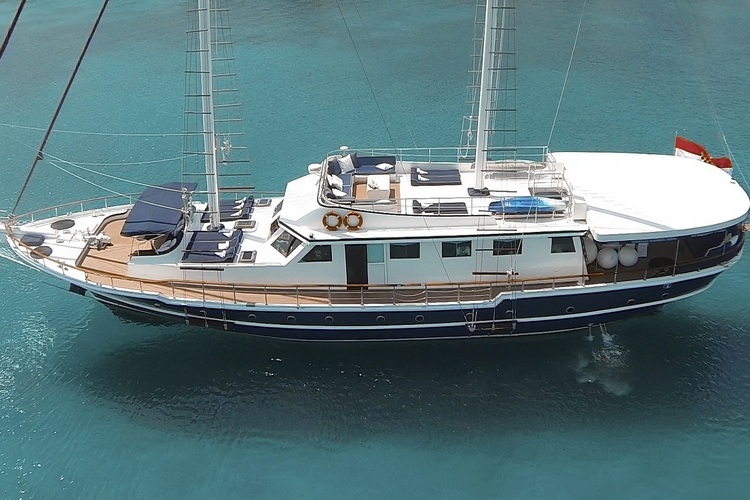 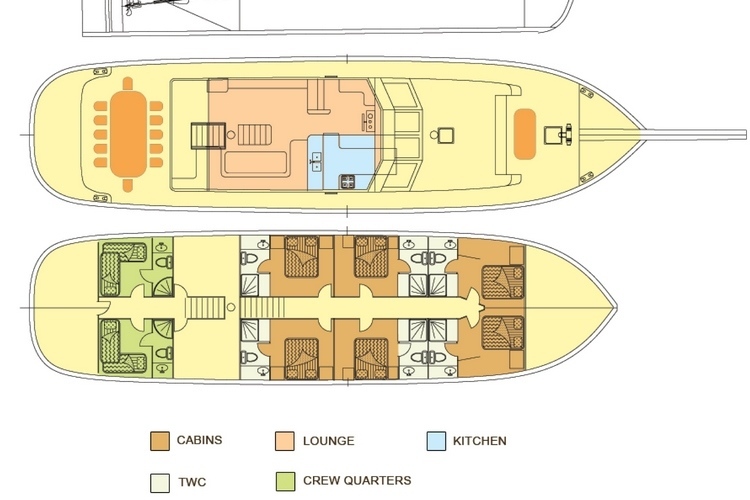 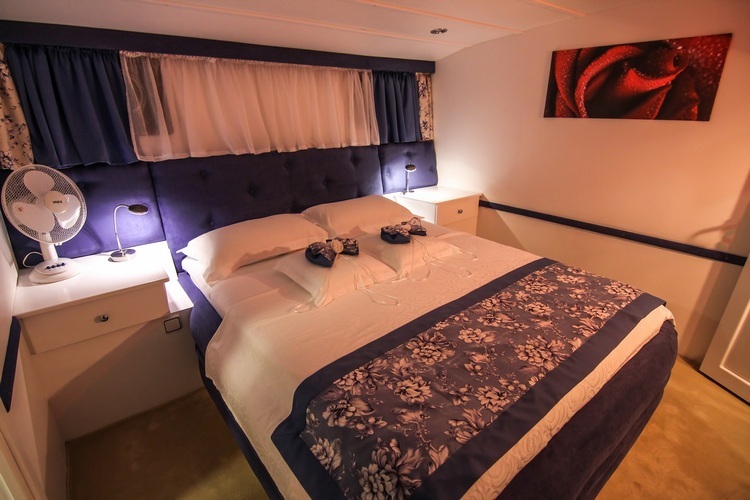 Other best point of difference is that Aurum has great living spaces: the foredeck has a comfortable seating area and tables for cocktails, lunch or just relaxing, a large private upper deck for sunbathing, a spacious lounging area with cushions on the aft deck, as well as a large interior saloon. 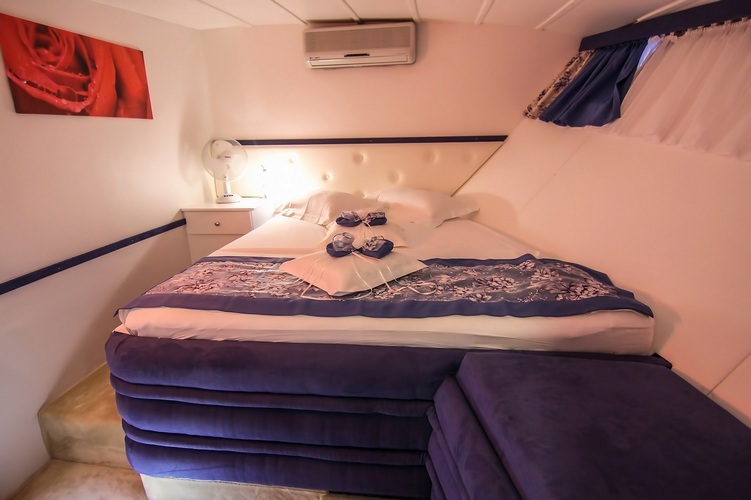 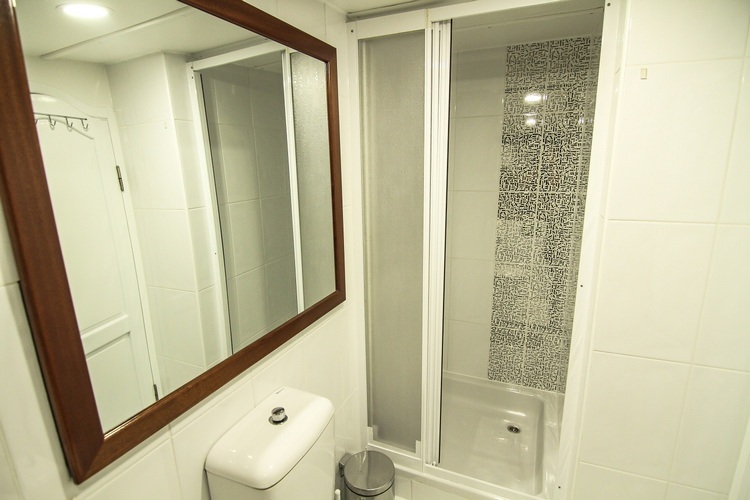 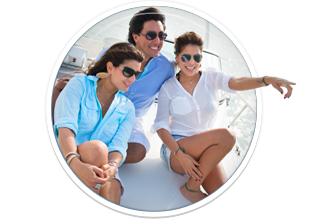 The captain, cook and two sailors are always at your disposal, the service is warm and welcoming. 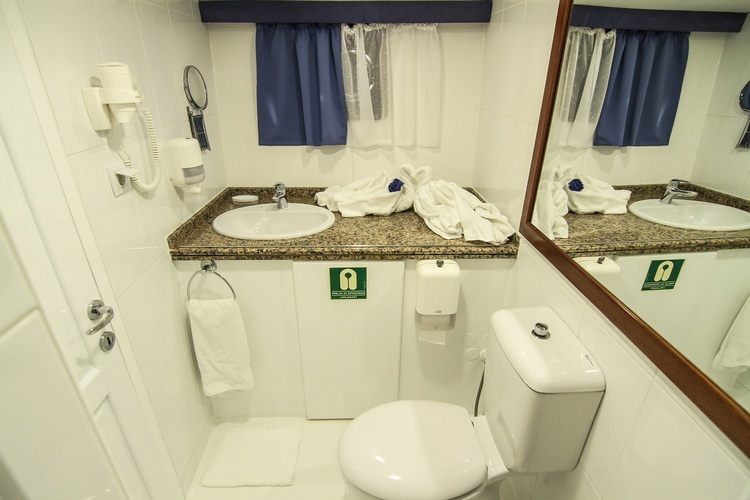 Water for drink is included in price during whole day. 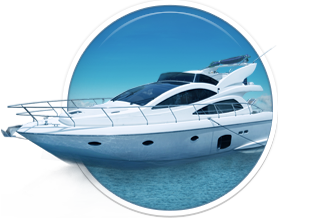 Extra work generator is 20,00€ per hour. 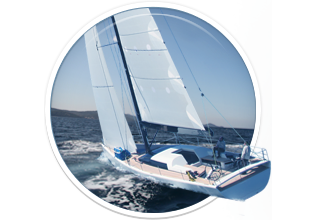 0-2 years free, 2-10 years- 50% reduction, 10-12 years– 30% reduction. 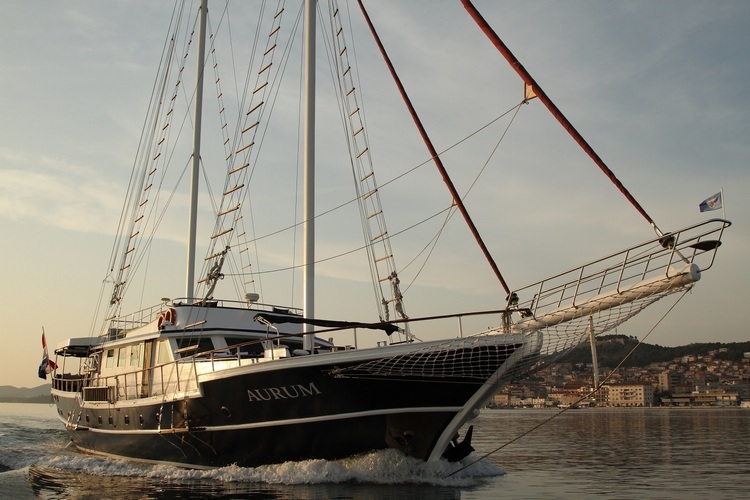 Here you can find basic information about Gulet Aurum. 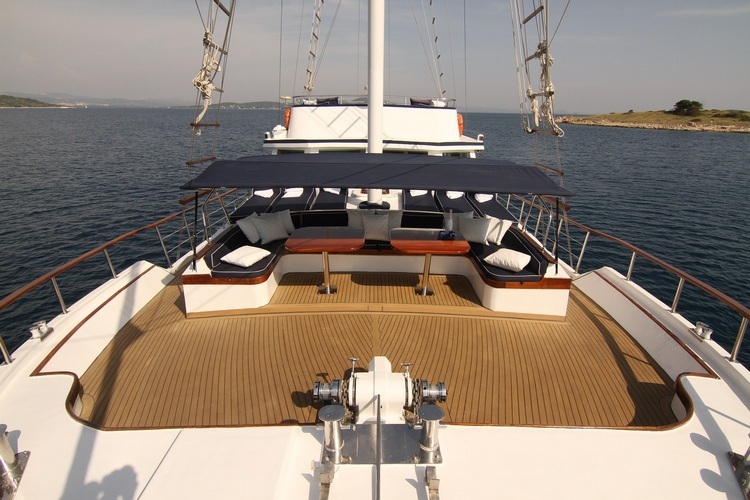 Other specifications, can vary from boat to boat, therefore we recommend to search for particular Gulet Aurum from our database, in the destinations of your preference.